Michael the Lord Naseby has set a cat among the British and international pigeons by extricating the reports of Lt. Col. Anton Gash (Defence Attache at the UK High Commission in Colombo in 2009) and presenting a summary review to the House of Lords. By immediately deploying Mandy Clark to interview Lord Naseby, Padma Rao Sundarji, the Foreign Editor of India’s first global channel, WION, drew upon his views and findings for the benefit of the world. This is something of a media coup. 1. That the Government of Sri Lanka did not set out to kill the Tamil civilians who were being held in LTTE territory as human shields. 4. That some of the civilian deaths were the result of Tiger gunfire. He also stressed that he had approached a group of university teachers in what he described as “a left-wing organisation” [that is, the organisation known as the UTHR] and their estimate was 7,000 civilian dead; while the US Ambassador Blake had estimated a death toll of 5000 civilians on the eve of his departure from the post in Sri Lanka. Both Naseby and the WION coverage were careful to indicate that these findings do not mean that the killing of certain Tiger officials who had revealed a readiness to surrender should not be investigated and charges laid. That noted, the coverage ended its tale by (a) emphasising the impact of large numbers of Tamil migrants in UK and the “intransigence” cultivated on this issue in the British arena and (b) focusing on the issues arising from continuing displays of the LTTE flag and the commemoration of its leader in the streets of UK and (c) intimating a concern that the British police tolerated such ostentatious displays by what was widely deemed to be a “terrorist organisation.” The background images at this stage of the coverage depicted Tiger fighters in battle gear and included close-ups of Velupillai Pirapāharan engaged in military activity. One of the more significant facets of this WION video clip was the opening pitch of its male presenter who indicated that Lord Naseby’s findings “would be music to the ears of Colombo.” But even more striking was the headline text embedded within the video clip: viz. WION SPECIAL REPORT: UN FUDGED CASUALTIES. 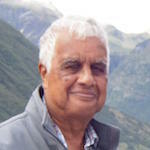 There is more than enough ground to consider that the review of Eelam War IV by the United Nation Panel of Experts chaired by Darusman was a flawed exercise because (a) of its slipshod methodology; (b) the ideological orientations of one of its members Yasmin Sooka and (c) the dictates of powers-behind-the scenes in the UN and USA. In brief, one witnessed a propaganda marvel. The WION commentary identifies the influence of the Tamil migrants in Britain and their constituency power in generating such an impact. That is certainly one reason. But I suggest that we need to look beyond this current of influence and stress the interests of powerful players in the international order desirous of regime change in Sri Lanka. One cannot forget that the Charles Petrie report speculated that “more than 70,000 people may have been killed during approximately the last 6 months of the conflict” and that Frances Harrison, ex-BBC and a HR campaigner subsequently, touted a wide range of figures in her influential book Not Counting the Dead: skipping gaily from 40,000 to 55,000 to 100,000. That Yasmin Sooka had a podium role in the launching of this book is as significant as revealing. We see here a campaign mounted by like-minds located in some ideological cave in the Siberian tundra. Vietnam = 58,220 KIA against 153,303 WIA = so ratio = 1:2.6. The blindness on this score in UK and the western world has been monumental. It appears that the Foreign Office and parliamentary circles in UK did not possess any persons with experience in war and that media personnel with a modicum of experience, such as the reporter Kate Adie for example, stayed silent. The British ruling class is not that comprehensively ignorant. Such a measure of imbecility suggests that other factors directed the public readings of the Sri Lankan war in British governing circles. As I have never been in the position of a fly in the British offices and clubs of power, I cannot provide even a glimmer of an answer to the glaring question that arises. Lord Michael Naseby has been one of the exceptions in this British firmament and he is better placed to point us towards the answers to my question. Harrison, Frances 2012 Not Counting the Dead. Survivors of Sri Lanka’s Hidden War, London, Portobello Books. Padraig Colman 2013 “Deadly Accountancy. Part I,” 13 April 2013, https://pcolman.wordpress.com/2013/04/21/deadly-accountancy-part-1/ … followed by two Other Parts. Thangavelu, Velupillai 2013 “LTTE Cadres Who Surrendered to The Army: Where Are They?” Colombo Telegraph, 18 August 2013, https://www.colombotelegraph.com/index.php/ltte-cadres-who-surrendered-to-the-army-where-are-they/. UTHR 2009 A Marred Victory and a Defeat pregnant with Meaning, Special Report No. 32. The panel was appointed by Ban Ki-moon, the UN Secy-Genl, and was composed of three lawyers, viz., Marzuki Darusman, Yasmin Sooka and Steven R. Ratner with Darusman as Chair. They did not visit the island. Their report is entitled Report of the Secretary-General’s Panel of Experts on Accountability in Sri Lanka and was released on 31st March 2011. “As indicated by testimonies collected by the UTHR(J) and other evidence, the LTTE went beyond the use of civilians as cover to the actual shelling of their own people on some occasions in order to cry “humanitarian disaster” – Roberts, “Revisiting,” 11 Nov. 2017. The UTHR presented a number of estimates on this issue and several of their early reports quoted higher figures (see Roberts, on Numbers Game, 2017). I presume that Naseby contacted one of its key members more recently. See Harshula 2012 for this facet and other illustrations. Also available at Roberts, “Revisiting,” 2017 (https://thuppahi.wordpress.com/2017/11/10/revisiting-critical-issues-in-eelam-war-iv-summarizing-citizen-silvas-the-numbers-game/). Note review of the book by Muralidhar Reddy 2013. As it happens, the UN personnel in Colombo computed figures for the wounded in hospitals and detention centres during the months of May-June 2009. This computation is referred to in passing by the UNPoE: “The United Nations Country Team is one source of information; in a document that was never released publicly, it estimated a total figure of 7,721 killed and 18,479 injured from August 2008 up to 13 May 2009, after which it became too difficult to count.” [paragraph 134, UNPoE]. The Darusman team do not seem to have grasped the significance of these figures. See Roberts, “A Drama in Four Acts,” 2015.